We start the week in usual great fashion, with the weekends best boot spots and in the round of football that has just finished, there have been plenty of stories to cover. Sir Alex Ferguson retired, so did Paul Scholes. On top of that there were Nike T90 Laser IV's in fine form and we also got to see quite a few custom colourways. Check it all out here. Anthony Knockaerts (Leicester City)  Nike Tiempo Legend IV ACC Sunburst/White/Total Crimson Here's a man who probably didn't sleep much last night. He had two chances to score from a penalty and scuffed both efforts, all of this in the 96th minute of a game, which would have sent Leicester in the play-off final. Instead Watford bombed down the other end and scored and are now heading to Wembley. Wonder if Knockaerts will be changing boots soon? Bastian Schweinsteiger (Bayern Munich)  Adidas F50 Adizero Red/White/Black This weekend Bayern could finally lift the coveted Bundesliga plate-trophy, which marks their status as German champions. 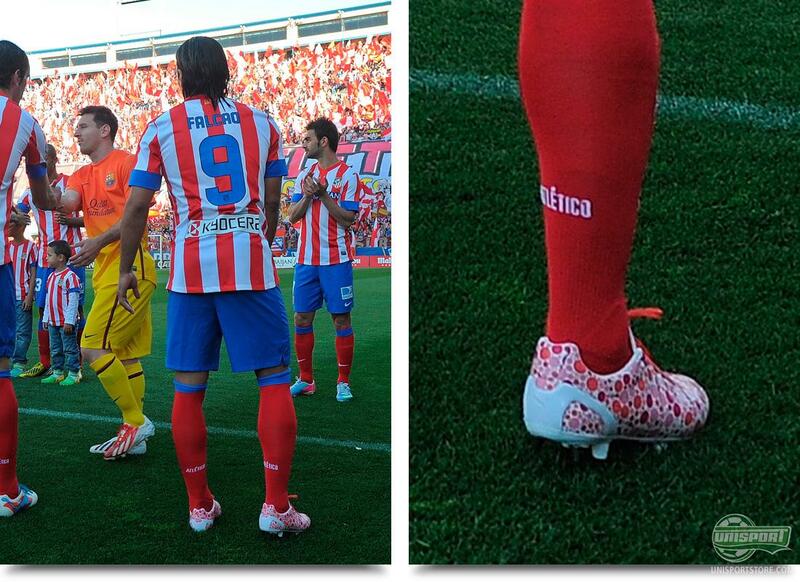 It was naturally a big moment, but not enough to distract us from Schweinsteiger's boots. He matched the new Bayern Munich home-kit with a brand new Red/White/Black colourway of the Adidas F50 Adizero, which we will definitely see more of in the future. 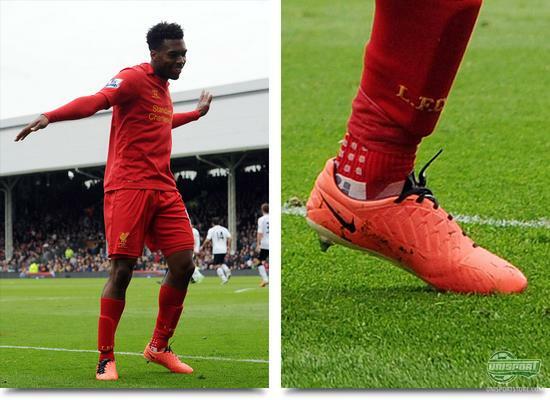 Daniel Sturridge (Liverpool)  Nike T90 Laser IV ACC Mango/Black The Merseyside flock may be without starman Luis Suarez, but then it's good to have replacements like Daniel Sturridge ready to step up. The former Chelsea-man, Daniel Sturridge, single-handedly turned a threatening 1-0 scoreline against Fulham, to a 1-3 victory. A hattrick from his Nike T90 Laser IV ACC Mango/Black and his matching red Trusox. Ben Watson (Wigan City)  Nike T90 Laser IV ACC Neon/Black Wigan may be holding on for dear life in the Premier League and look to be going down with Reading and QPR, but none the less they will be playing in the Europa League, as they beat Manchester City at Wembley. 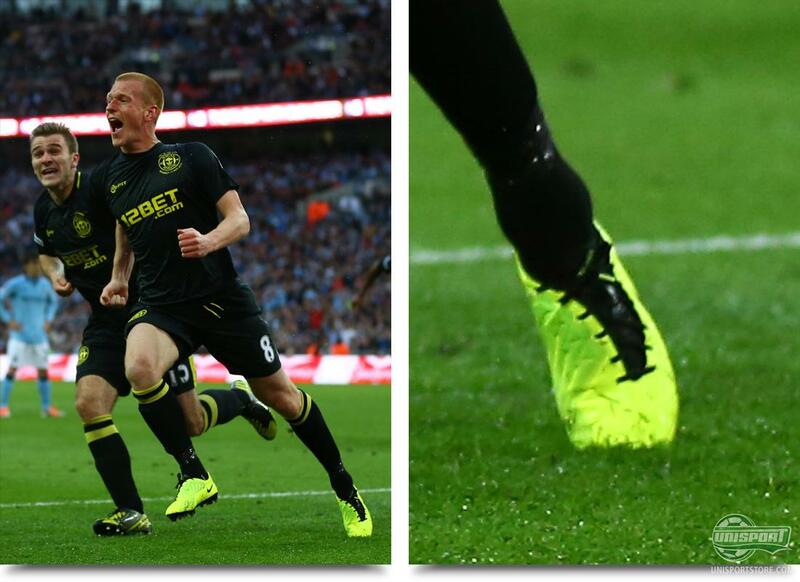 A late headed effort from Ben Watson, secured the Latics their first ever trophy, while wearing his Nike T90 Laser IV ACC Neon/Black, which matched their kit very well. Radamel Falcao (Atletico Madrid)  Puma EvoSpeed 1.2 Camo The Colombian striker gave the capital club a dream start to the game, when he put his team 1-0 ahead, against FC Barcelona, who after the game celebrated winning the league. He did so in a pair of teaser boots; the Puma Evospeed 1.2 Camo. We will already on Wednesday be telling you much more about the forthcoming generation of EvoSpeed  you can look forward to it. 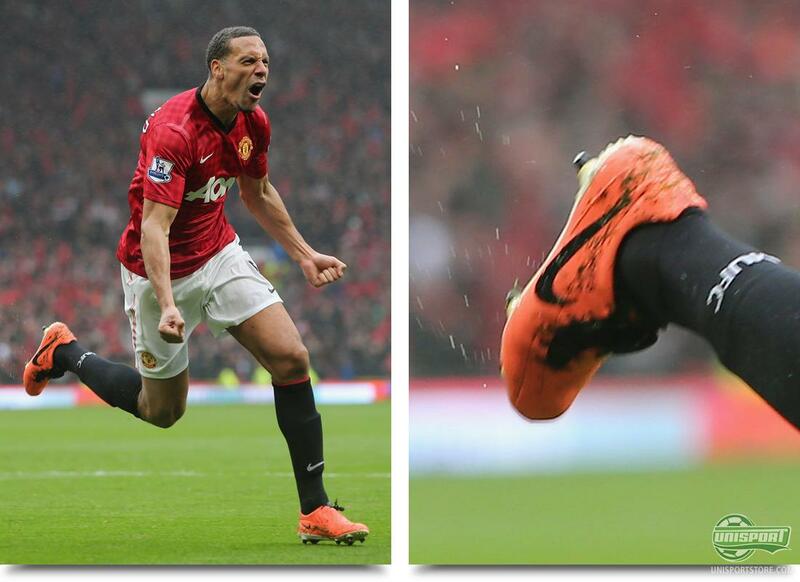 Rio Ferdinand (Manchester United)  Nike T90 Laser IV ACC Mango/Black In Sir Alex Fergusons last game at Old Trafford a victory was almost a must, but as usual, The Reds left it late, but could in the end celebrate a fine 2-1 win. Late on in the game it was seasoned warrior, Rio Ferdinand, who had crept into the box and slammed the ball into the back of the net, while wearing his Nike T90 Laser IV ACC Mango/Black. The Laser was on fire this round! 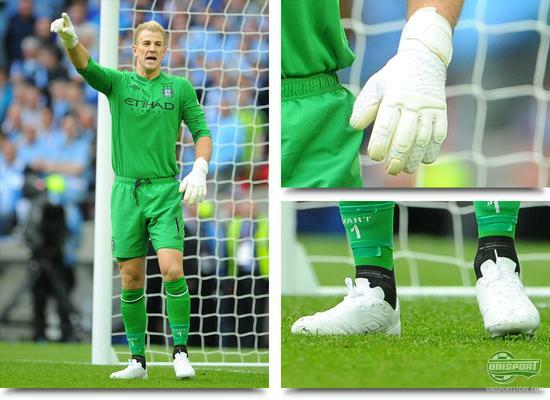 Joe Hart (Manchester City)  Umbro Speciali Pro IV & Geometra Pro Touch Whiteout Even though Mancini had previously said it would be Pantilmon, who would be guarding the goal in the FA Cup Final, it ended up being usual keeper, Joe Hart who took his place. Umbro had for the special occasion designed a pair of whiteouted Umbro Speciali Pro IV and matching Geometra Pro Touch gloves, which were an elegant pairing. 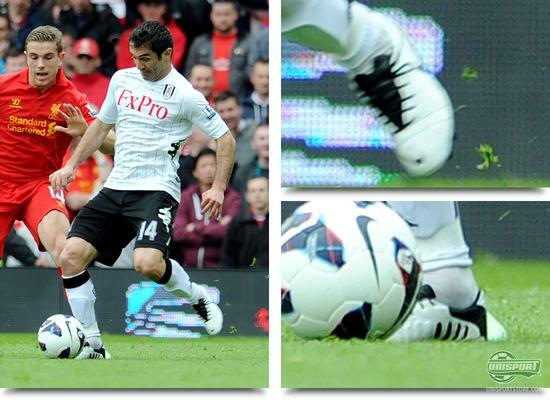 Giorgios Karagounis (Fulham)  Nike CTR360 Maestri III ACC White/Black/Orange Custom The London clubs Greek midfielder has had the paint brush out and added a neat touch to his Nike CTR360 Maestri III White/Black/Orange. On the lateral side of the boot, he has blackouted the Orange Nike Swoosh and then he has replaced the lacing with a black one. It matches the Fulham kit fantastically and we meet it with great applause. Frank Lampard (Chelsea)  Adidas Adipure 11Pro White/Red/Black LEGEND. It starts with L and ends with D; just as Lampard. The English midfielder didn't just equal Bobby Tamblings goal record for Chelsea, he beat it, as he secured a vital win for the Blues. The two goals came from his Adidas Adipure 11Pro White/Red/Black and you would think they will get a special spot on the boot shelf at home. 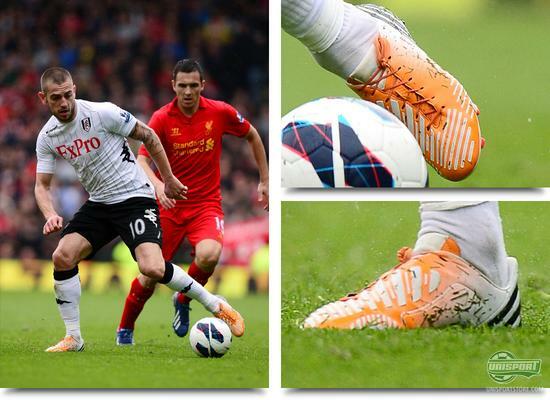 Mladen Petric (Fulham)  Adidas Predator LZ Orange/Silver/Black MiAdidas They love designing their own boots in Fulham and now the clubs Croatian profile is at it too. Before today we saw him keep to the Black and White nuances, so it matches the home-kit, but this time he wore a pair of Predator LZ Orange/Silver/Black, which probably match the clubs away-kit better. 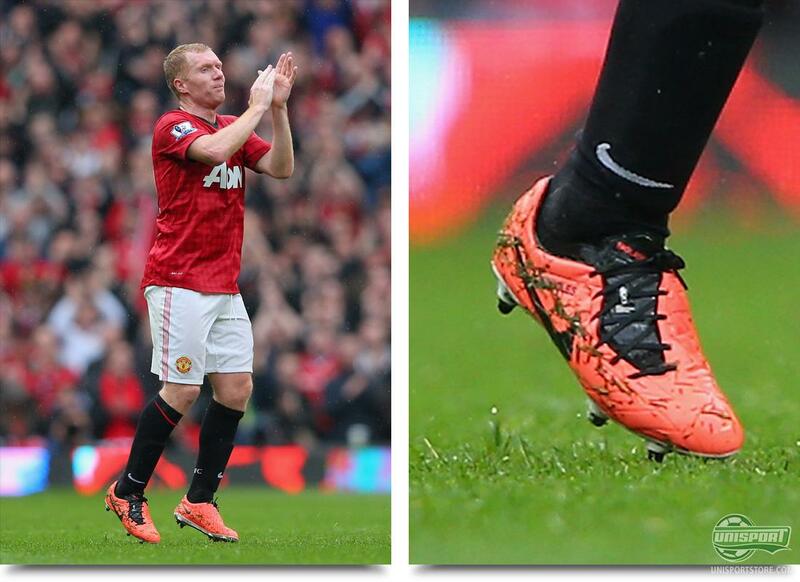 Paul Scholes (Manchester United)  Nike T90 Laser IV ACC Mango/Black 'The Ginger Prince' follows manager Sir Alex Ferguson into retirement at the end of the season and he therefore got his last run out at Old Trafford this Sunday. Throughout his illustrious and glorious career Scholes has been an avid user of the Nike T90 Laser IV, so it was hardly a surprise to see him in the newest colourway, the Mango/Black. We've been around the biggest games in Europe this round, where there was everything from footballing glory, to disaster. 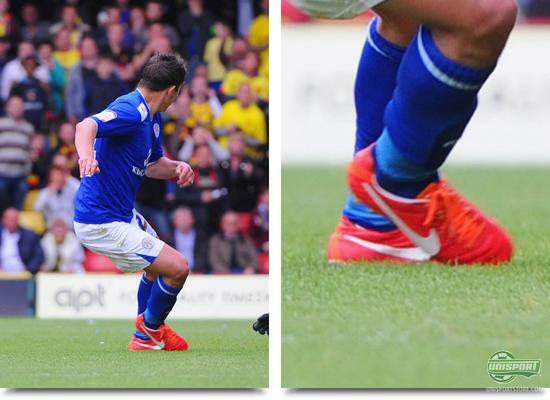 Which of this weeks boot spots did you think was best? Have you spotted something we missed? We would love to hear from you in the comment-section down below.